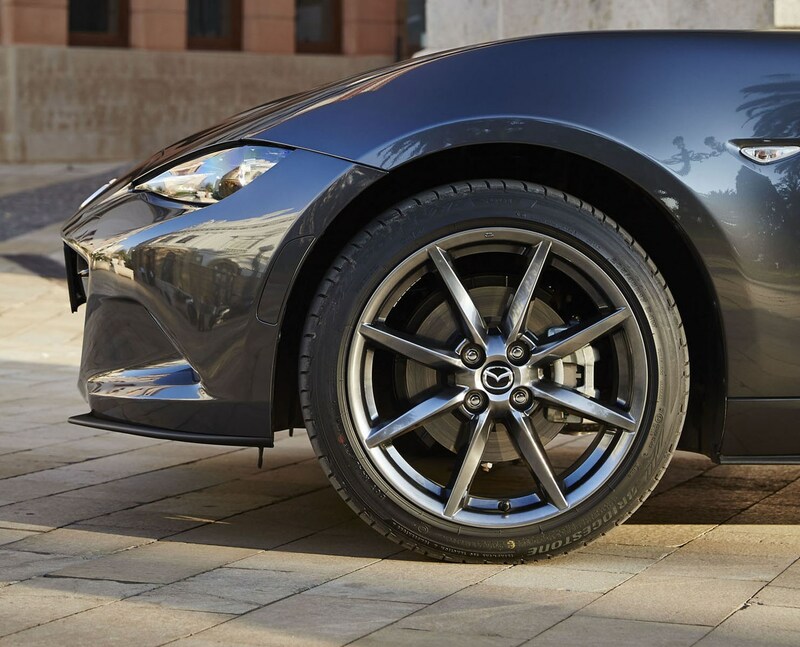 Insurance group: 24 - 31 How much is it to insure? 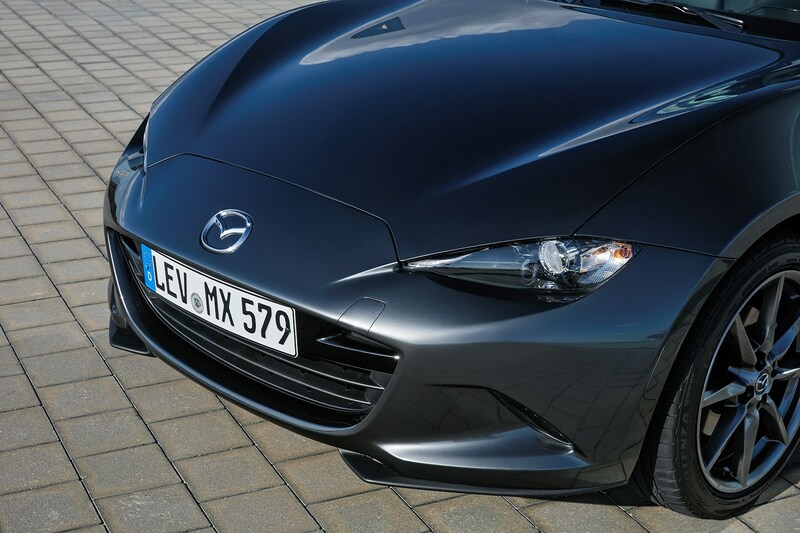 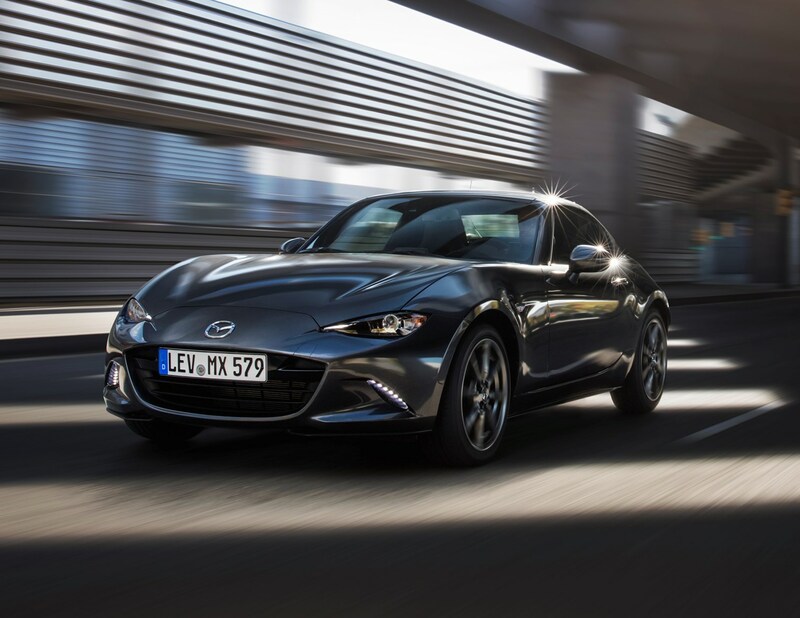 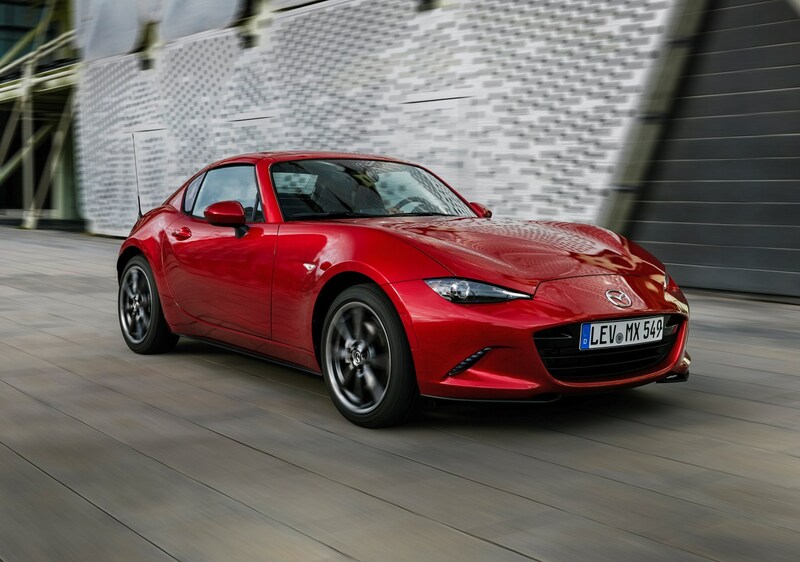 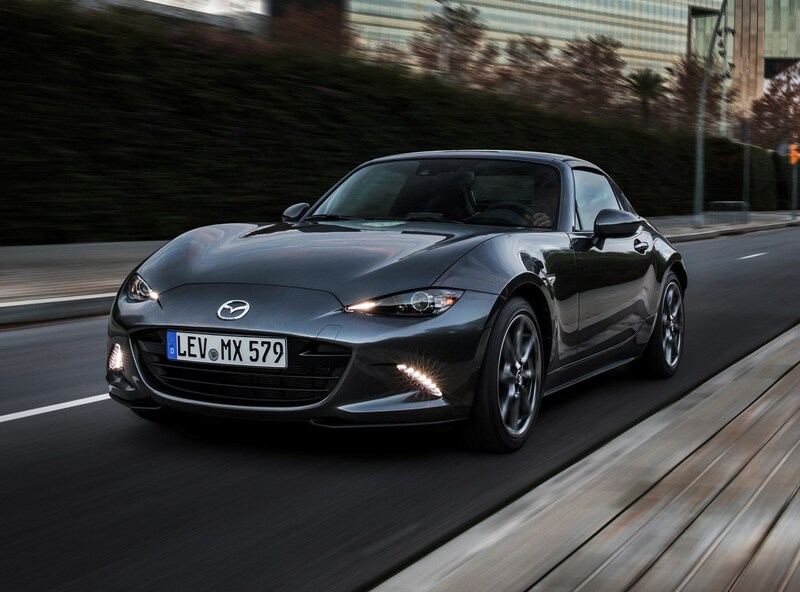 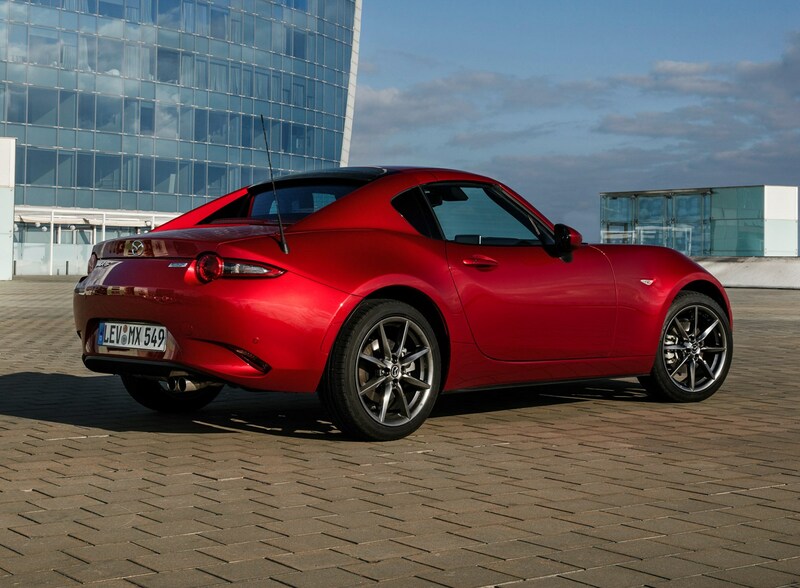 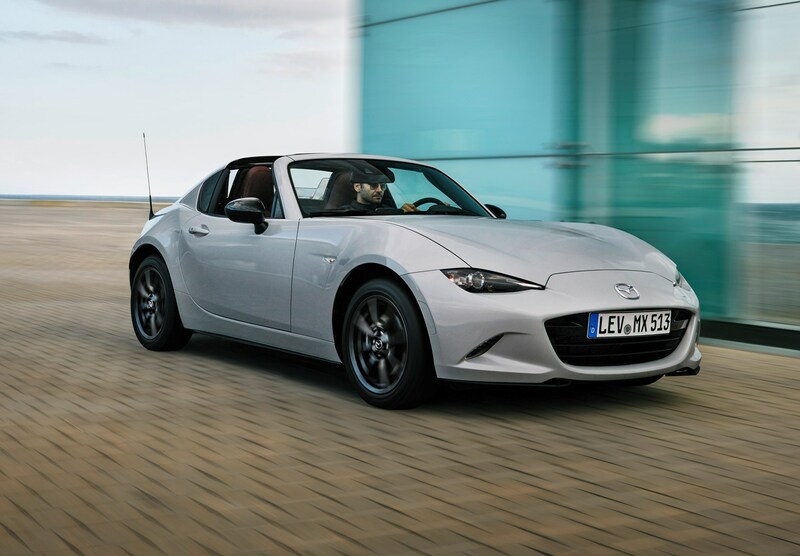 Retractable Fastback – that’s what the suffix stands for on the Mazda MX-5 RF. 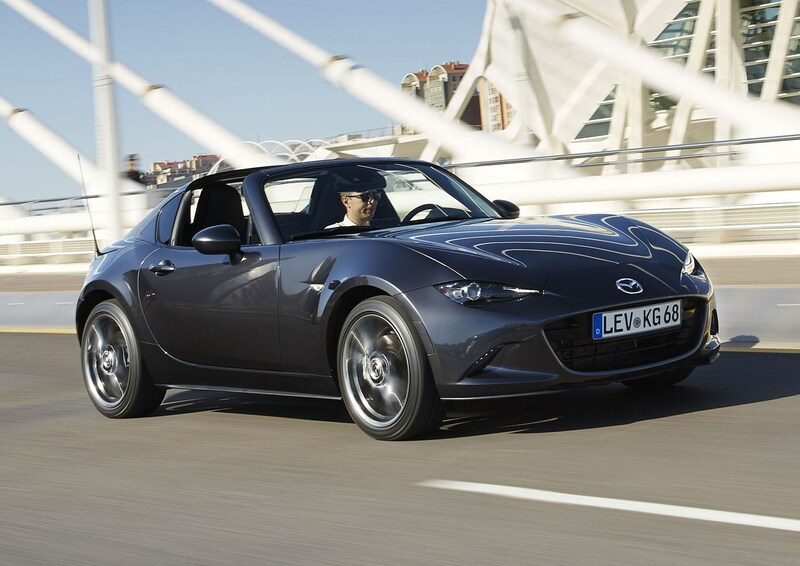 It swaps the regular MX-5’s manually operated soft-top hood for a motorised steel/aluminium/plastic hard-top with an unusual design – sporting distinctive targa-style fairings. 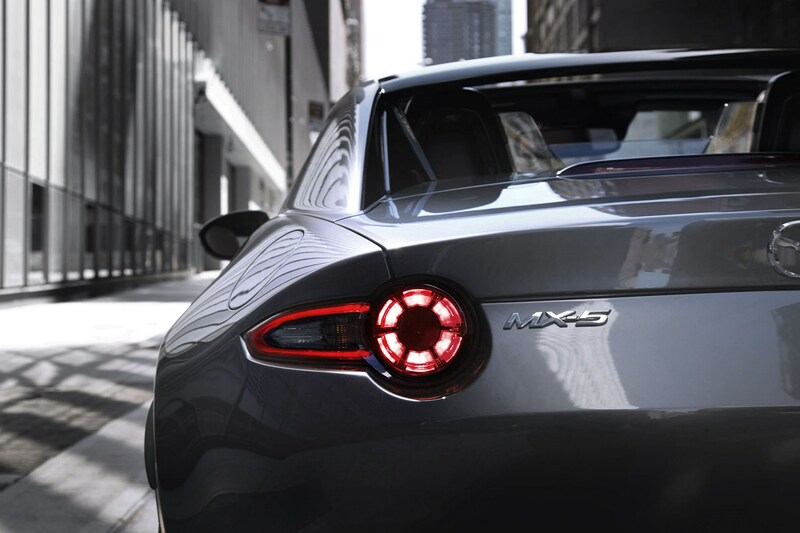 It looks like no MX-5 that’s gone before. 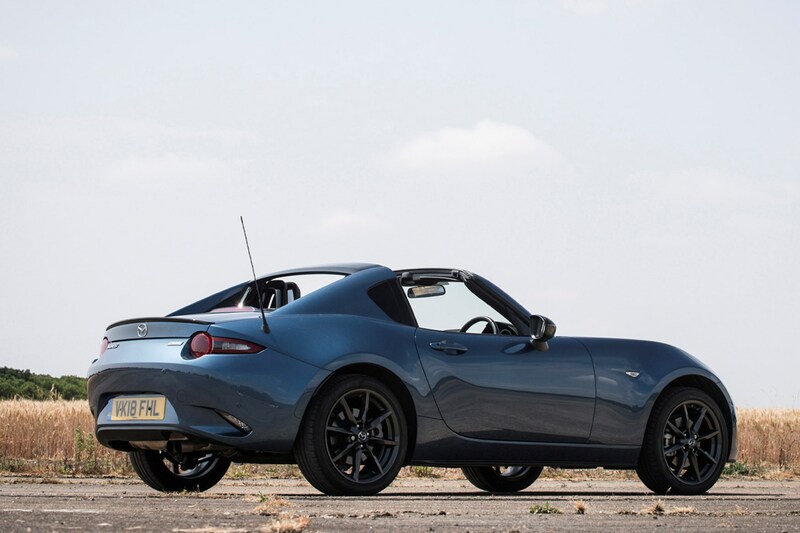 It’s considerably more affordable than other roadsters with folding hard-tops like BMW’s Z4 and Mercedes’ SLC, although it is around £2,000 more expensive than the conventional soft-top MX-5. 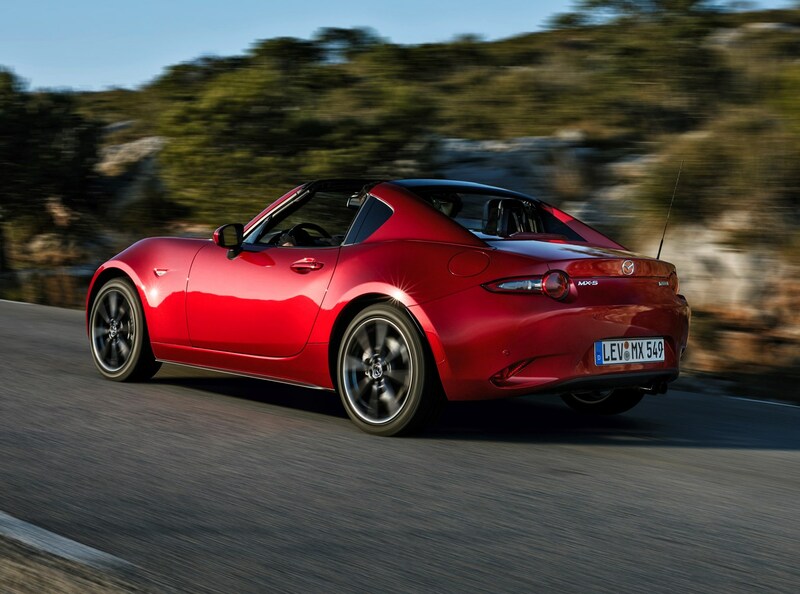 Fiat’s own version of the Mazda, the turbocharged 124 Spider, is currently available with a manual soft-top only. 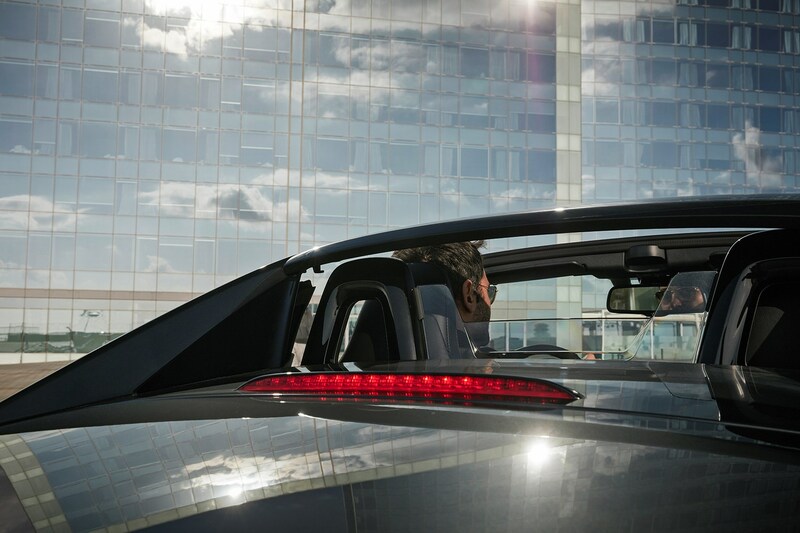 How does the roof work? 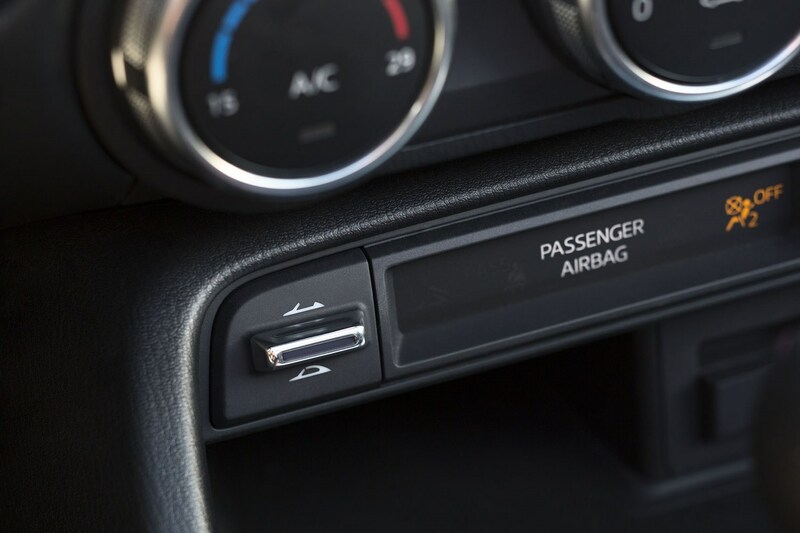 It takes 13 seconds to go from closed to open (or vice versa), by pressing a switch on the centre console. 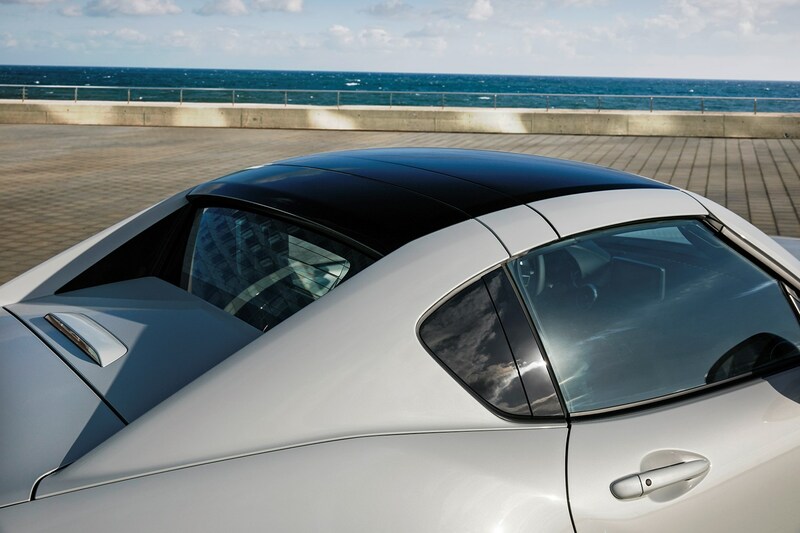 It’s quite a spectacle to watch; the ‘flying buttress’ fairings lift into the air, then the rear glass and roof panels fold themselves into a space in front of the boot, before the buttresses return to their original position. 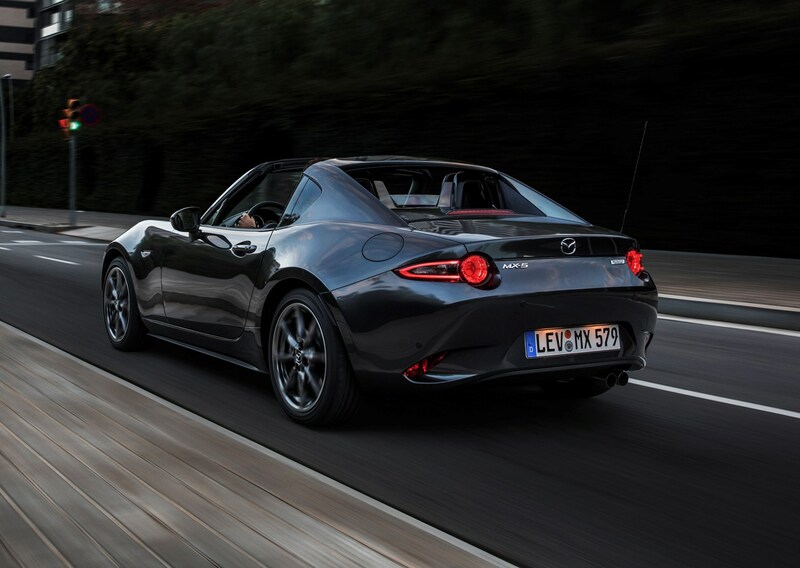 The result is a car that doesn’t feel as open and exposed to the elements as the fully convertible soft-top MX-5, but still allows plenty of open air into the cabin. 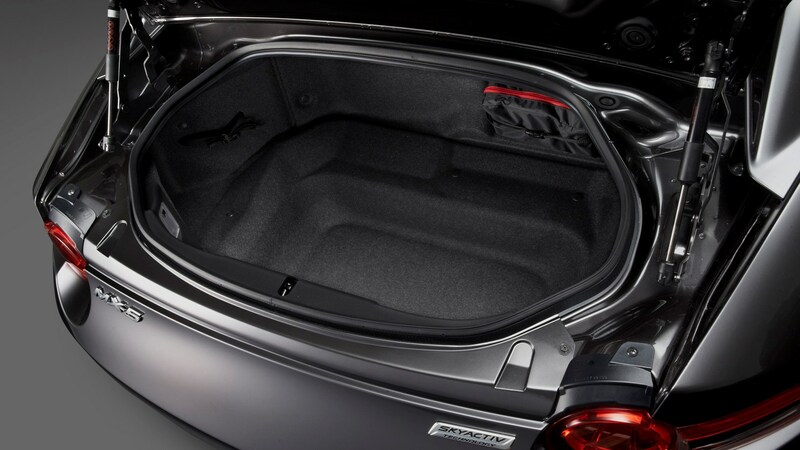 With the roof up it’s much quieter on the motorway. 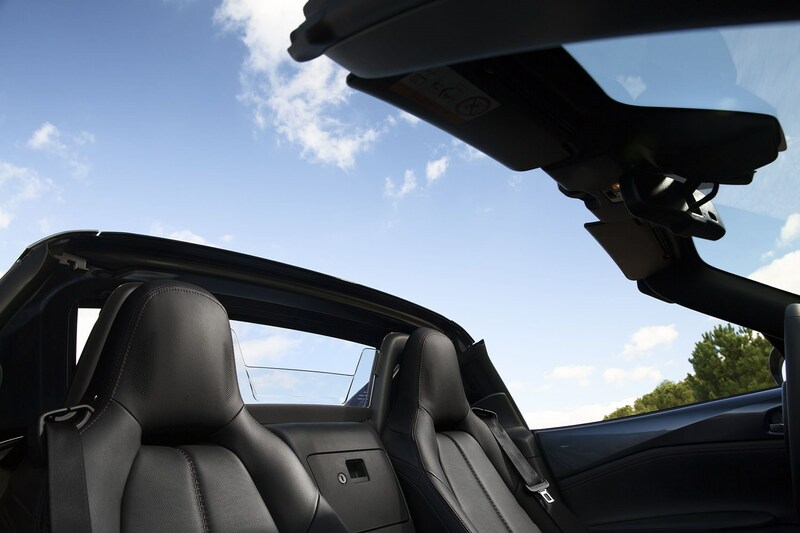 The downside is a far greater level of wind noise when the roof is open; there’s an annoying, resonant buffeting at speeds above 55mph, which means you’ll need to raise your voice to continue a conversation with a passenger. 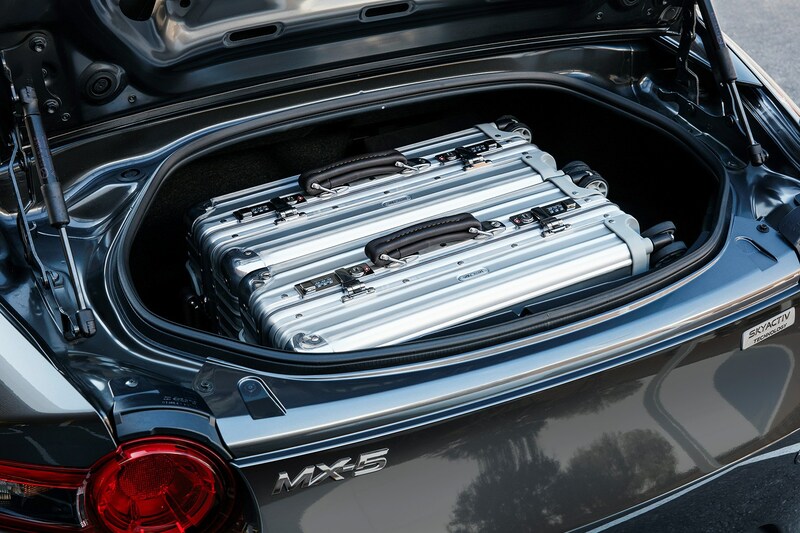 There’s no difference in boot space between the MX-5 soft-top and RF models, with a reasonable amount of space inside for two large bags (maybe three at a push), but a narrow aperture to manoeuvre them through. 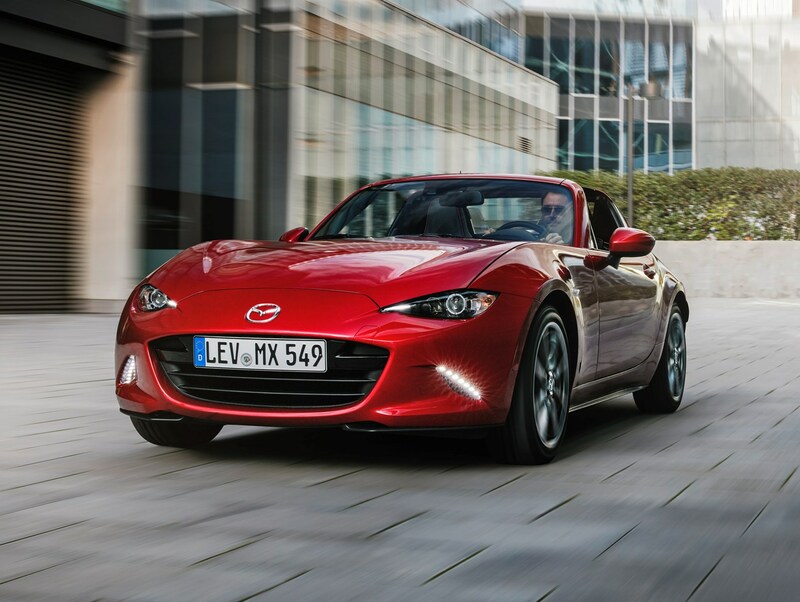 Like the soft-top MX-5, two four-cylinder petrol engines are available: a 1.5- and a 2.0-litre, with 132hp and 184hp respectively. 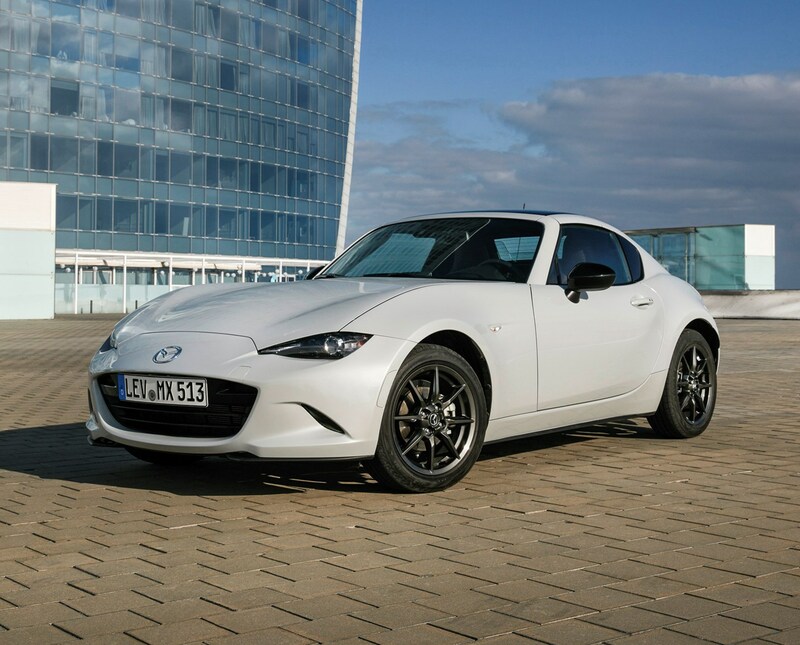 An update in late 2018 uprated the performance figures from the previous 131hp and 160hp versions available. 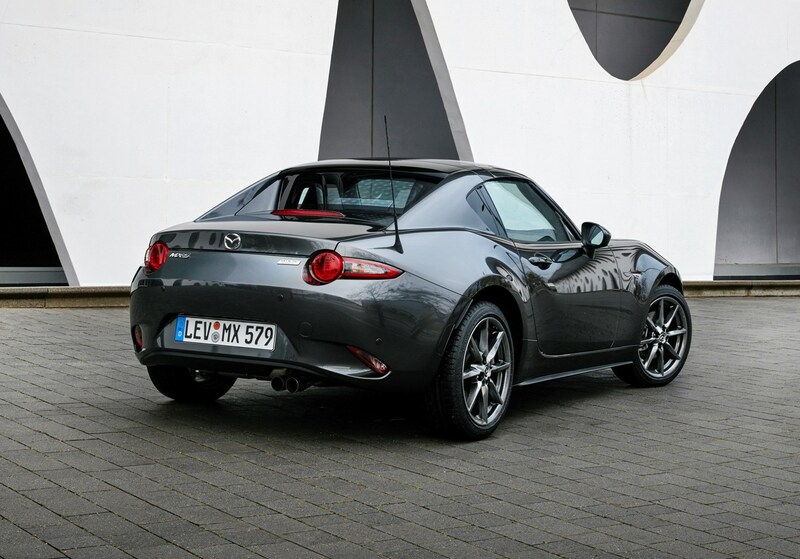 Both come with an excellent, fun-to-use six-speed manual gearbox as standard. 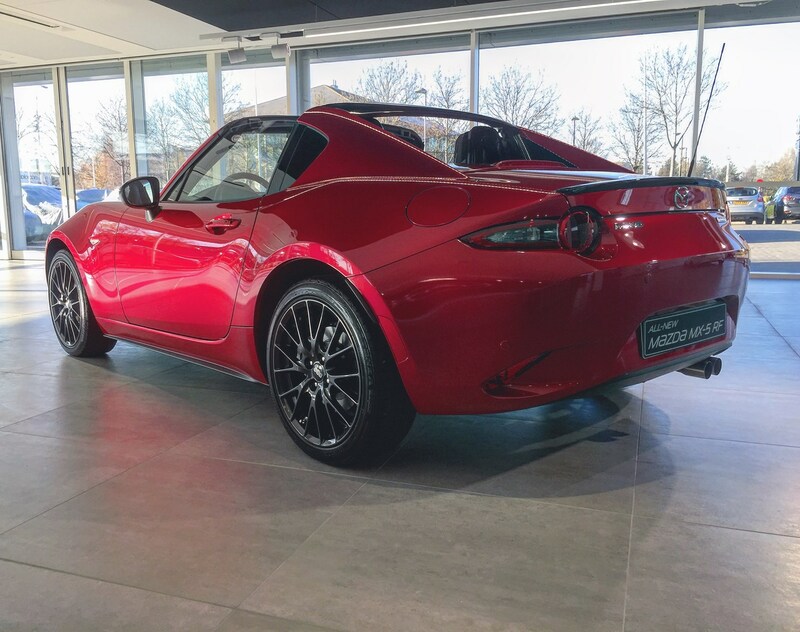 However, the MX-5 RF also introduces the option of an auto transmission, available with the 2.0-litre engine only in Sport Nav+ trim. 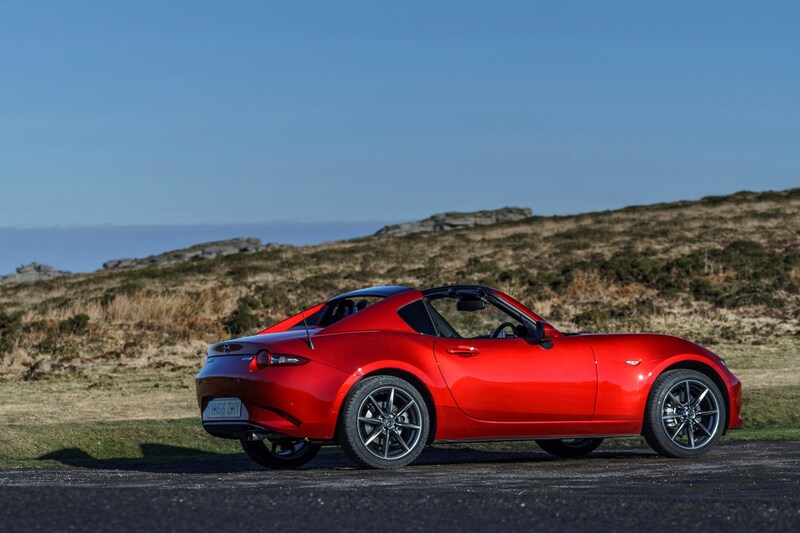 There are currently no plans to introduce an auto MX-5 soft-top in the UK, so if you’re searching for a brand-new MX-5 automatic then the 2.0-litre RF model is your only choice. 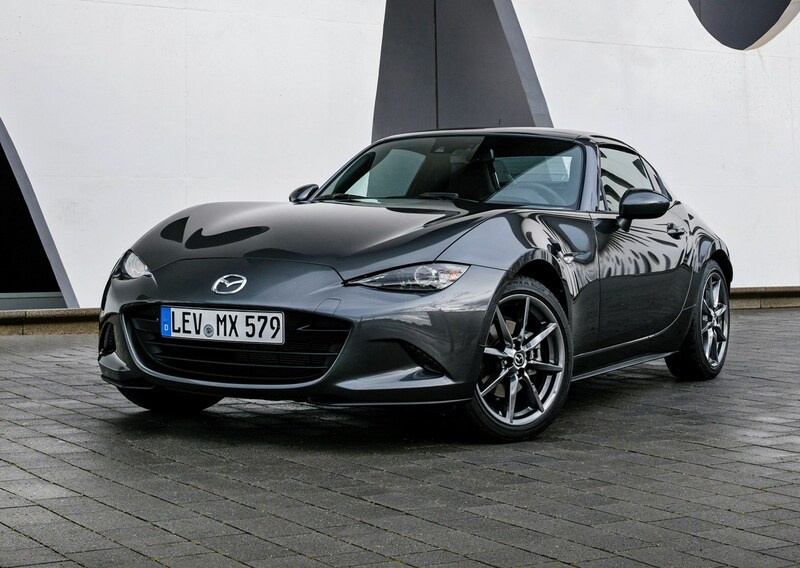 The Mazda MX-5 RF is available with four trim levels: SE+, SE-L Nav+, Sport Nav+ and GT Sport Nav+. 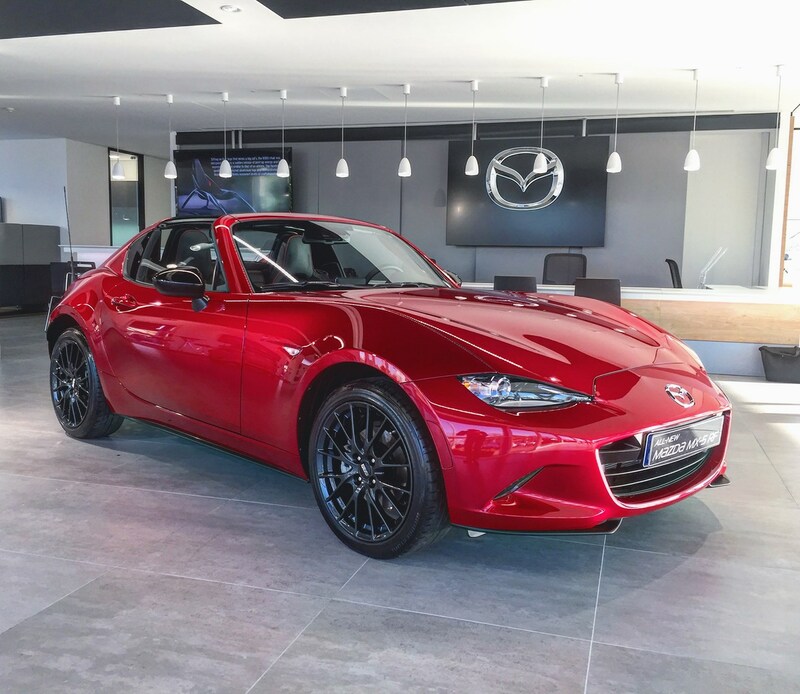 All models except SE+ come with sat-nav as standard. 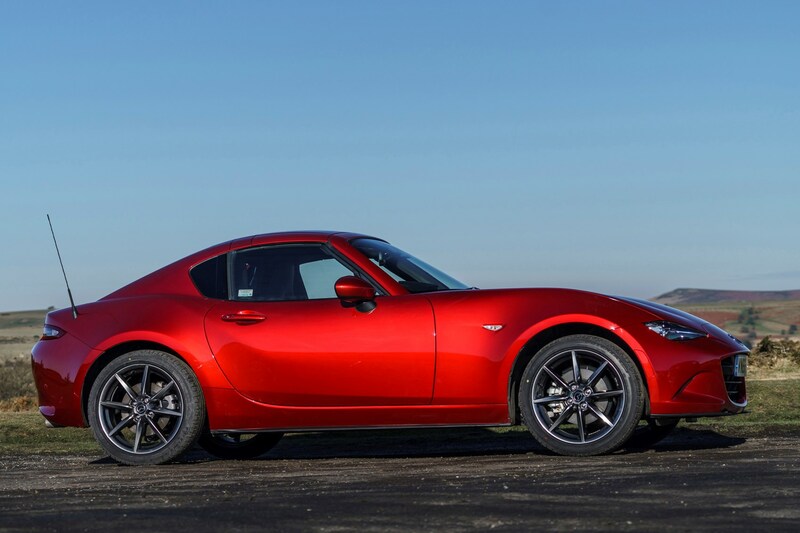 The Mazda MX-5 RF is a very likeable car, with an unusual style all of its own. 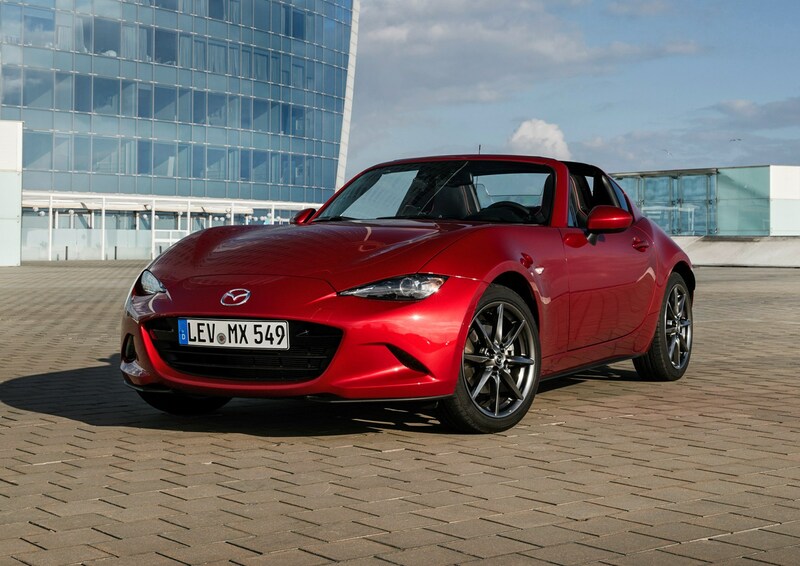 Even though it’s a little heavier than the soft-top model, it’s almost as much fun to drive, if not even more so – its slightly stiffer suspension means it has a little less body roll than its fabric-topped sibling. 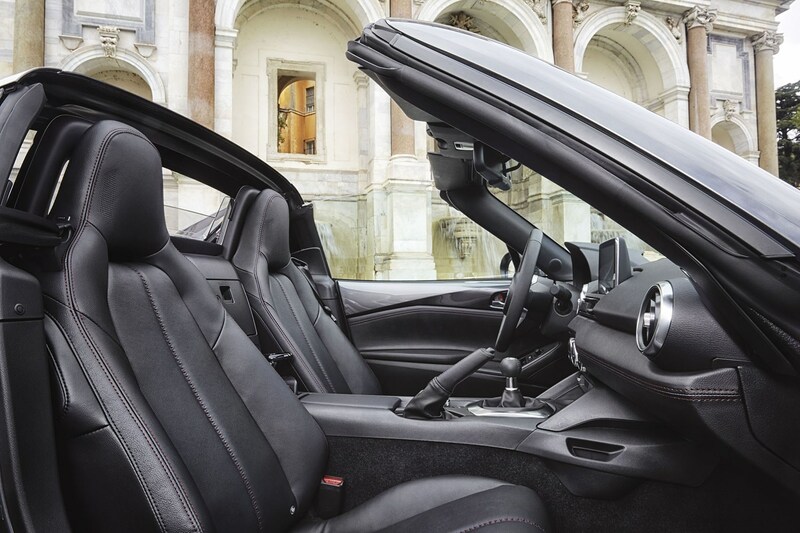 It’s a shame the wind noise is so great when the roof is open, because when the roof is closed it’s quieter and more comfortable than the soft-top. 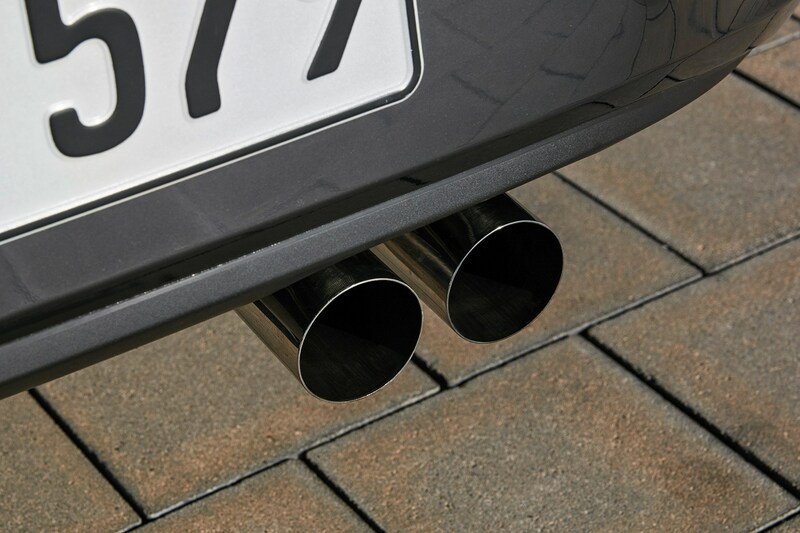 Taller drivers, be warned – although the roofline is slightly taller, headroom is still very tight. 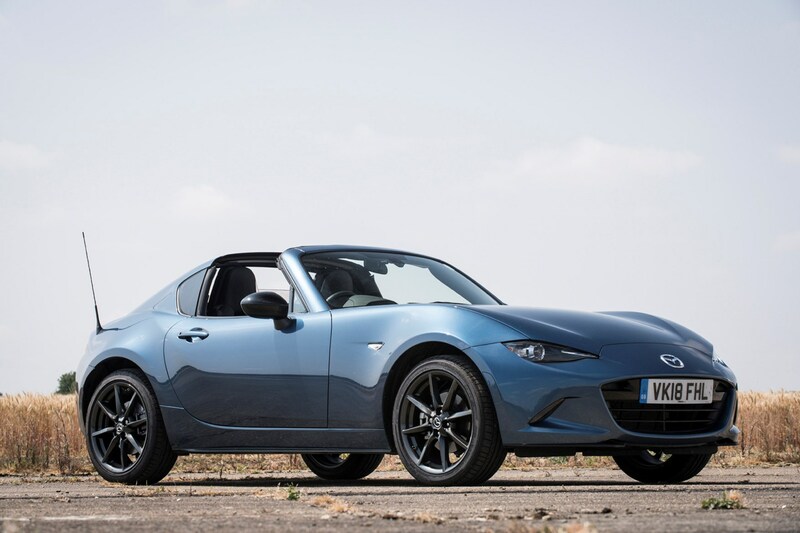 If you’re likely to cover more motorway miles than average in your MX-5, or particularly like the look of the RF’s lines, there’s much here to enjoy. However, we suspect most buyers will be served equally well by the cheaper, lighter, less complicated Mazda MX-5 soft-top.